Home » About Us » Our Doctors » Victoria Anne Brander, M.D. 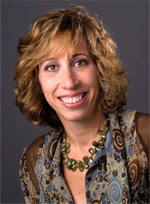 Victoria Brander MD is a board certified Physical Medicine and Rehabilitation specialist. Her extensive academic, clinical and research career is focused on the treatment of arthritis, joint replacement and musculoskeletal pain. Dr. Brander's clinical practice is located in Chicago's Gold Coast, at Northwestern Orthopedic Institute. Dr Brander's clinical work extends across the spectrum of arthritis care. She is on staff at NorthShore University HealthSystem, an attending physician at Northwestern Memorial Hospital, Medical Director of Rehabilitation at Methodist Rehabilitation and Apple Home Health. She has been named by Chicago Magazine as one of Chicago's top physicians. Academically, Dr Brander serves as Associate Clinical Professor of Physical Medicine and Rehabilitation at Northwestern University's Feinberg School of Medicine, in Chicago. Dr. Brander enjoys teaching and mentoring students. She was named Northwestern University Department of PM & R's Research Mentor of the Year in 2000. She is the Visiting Professor, Department of Orthopedic Surgery and Rehabilitation, at Sichuan University Medical School in Chengdu, China. She is frequently invited to lecture on the topics of arthritis and its related treatments at academic and clinical institutions. An award-winning researcher, Dr. Brander has presented findings at medical conferences throughout the United States and abroad. Dr. Brander was awarded the prestigious Knee Society award twice, for her work in pain, depression and joint replacement outcomes. Dr Brander received the Academy of PM & R's 2008 President Citation for outstanding research. She was awarded the Foundation for PM&R's 2008 Research Paper of the Year. Dr. Brander has held leadership roles in a variety of national organizations related to the practice of Physical Medicine and Rehabilitation, including on the Board of Directors of the Arthritis Foundation and as President of the Illinois State Society of PM & R. She has authored numerous publications on the topics of arthritis and joint reconstruction. With co-authors Ron Allen and S. David Stulberg, Dr Brander wrote a well-reviewed consumer focused book on arthritis, Arthritis of the Hip and Knee: The Active Person's Guide to Taking Charge, which now has more than 50,000 copies in print. Dr. Brander was invited as the rehabilitation expert to the National Institutes of Health's Consensus conference on total hip arthroplasty. She is a regular contributor to TV and print media. In addition to these accomplishments, Dr. Brander takes special pride in her medical humanitarian work. With David Stulberg MD, Dr Brander co-founded and directs Operation Walk Chicago, a medical not for profit service organization that performs free hip and knee replacement surgeries for underserved patients throughout the world. Operation Walk Chicago partners with hospitals in developing countries and the United States to establish joint replacement programs. Dr. Brander has led Operation Walk Chicago in China, Ecuador, India, Nepal and Vietnam. In recognition of her humanitarian service, Dr Brander was presented with the "Unsung Heroes of Compassion" award by His Holiness The Dalai Lama. My clinical work focuses on the use of multimodal and customized treatments for the treatment of osteoarthritis and joint pain. I also specialize in the rehabilitation of joint replacement patients, with a focus on patients with persistent pain or impaired outcome. I care for joint replacement patients across the spectrum of locations - before surgery, during their hospital recovery, in rehabilitation facilities, and in the office. My clinical experience has led me to investigate why certain patients do poorly after knee replacement, and in particular how depression, anxiety and perception of self influence short and long term outcomes. I have worked with governmental and academic institutions to define and propose standard rehabilitation protocols before and after joint replacement, as a method to help prevent poor outcome. I also am interested in the use of office based local therapies - such as injectible agents (hyaluronic acid, platelet rich plasma therapy, and others) - as a way to improve osteoarthritis outcomes. I believe osteoarthritis is a chronic disease, and the most efficient osteoarthritis care requires the application of disease management tools. I teach medical students and residents the office-based diagnosis and management of arthritis patients, helping them understand customized, multimodal therapies, and instructing them in proper injection techniques. Last, through the clinical and educational outreach of Operation Walk Chicago, I am able to pursue bringing joint replacement surgery and rehabilitation to needy patients in developing countries and the United States. Our focus on international education and program development helps insure our contributions will have a meaningful, sustainable effect. In Chicago, we are partnering with clinical and academic institutions and industry to develop a ongoing method to deliver low cost joint replacement surgery for the under- and uninsured. with or without Rotator Cuff Tear." "Pain and Depression Influence Outcome 5 Years after Knee Replacement Surgery"
"The Natural History of Pain After Total knee arthroplasty"
To know more about "Victoria Anne Brander, M.D." please click here.